Here’s a collection of 16 full songs. More than a virtual album’s worth, offered for free listening or download. TO DOWNLOAD: Hover over the symbol with the downward arrow to the right of the song title. Then right-click and Save As to download to your computer. If you’d like to support the efforts of this site, you can do so by purchasing a copy of one of the albums for yourself or a friend, or by purchasing additional track downloads from iTunes or other download services. By the way, each album contains 17 cuts, so there’s much more on each than you hear here. You many also want to read some reviews of the albums. Also, please consider using the social media icons at left to share with friends on Facebook, Twitter, etc. Thanks…it means a lot! 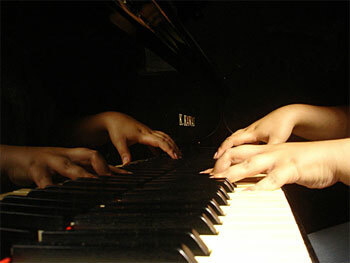 The piano is among the world’s most powerful instruments. Its dynamic range can both shake the walls and stir the soul. 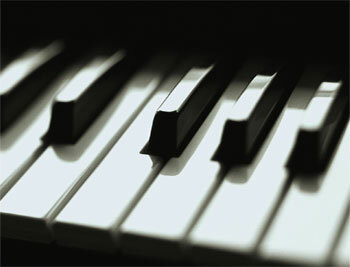 Solo piano music is very popular among those who seek respite from confusion and grief. It strikes the perfect tone for reflection, whether playing quietly in the background or the main sound in the room. It can entertain all by itself, and it also perfectly accompanies deep thought. Intended especially for those who are going through tough times due to illness, loss of loved ones, or any other type of personal pain, these solo piano songs can be listened to or downloaded for free*, and you have permission to burn them to a personal CD for yourself or as a gift for others. This allows those who may be in hospitals or convalescent care to enjoy this beautiful music despite the fact that they can’t get online. What you cannot do is to resell this music as your own or for a profit. My name is Chuck Brown. I took my first piano lesson at age 8, but rather than leading to me becoming a great concert pianist, my new familiarity with the ivories became key to unlocking the music inside me…much of which has connected deeply with others. As a result, I’ve written hundreds of songs, and had the opportunity to record quite a few of them. The songs on this site are from my 3 solo piano albums, Unadorned (1997), Breathe (2000) and Incandescence (2004). I hope you find this solo piano music valuable in your time of need. Please share this site with any friends who might find it helpful. I receive many requests from fans who are interested in acquiring sheet music of some of my songs. I’ve done my best to address those questions here. Check out some music videos! I’ve received many supportive comments about this site. If you like what this site is about…in addition to telling your friends about it, I’d invite anyone who has a web site of their own to place a small text link to this site or mention it in your blog. Thanks! * with all the concerns about music theft today, you can rest assured that these downloads are truly free and legal. This music is protected by U.S. Copyright Law just like that of any other artist you might hear on the radio or on CD. The fact that I’m making this music available for free personal listening does not mean that it’s OK to take it and use it elsewhere. I’ve had many, many inquiries from those who want to use it on their web sites, on the soundtrack of videos, as part of corporate Christmas gift CDs, etc. In any case, it is illegal to use this music without my express permission. For licensing of any kind, please use the contact method specified on the Usage & Licensing page. Site Contents © Chuck Brown - All rights reserved.